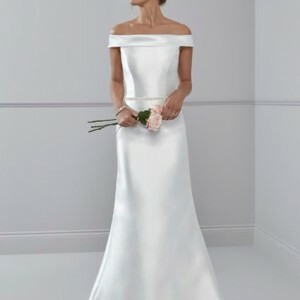 Our fabulous range of Off the Peg dresses is perfect for the Bride with only a short time until the wedding, or those who are price conscious. Dresses are available in sizes 8-30 and range in price from £199 – £700. Enjoy a proper Bridal Boutique experience, but with outlet price tags. It’s when your dress arrives in store, that the hard work really begins…….